Young yellow yaks yodelling in Yongala. A yacht is a type of fast sailing boat. 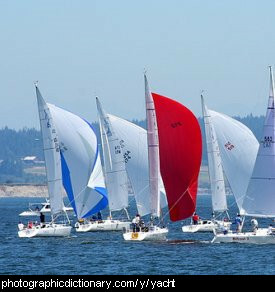 Sailboats do not have engines or motors, they move because the wind blows them along. A yak is a relative of the cow. 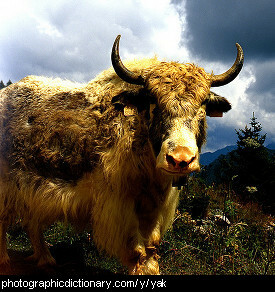 Yaks live in high mountains, and have long shaggy hair to keep out the cold. 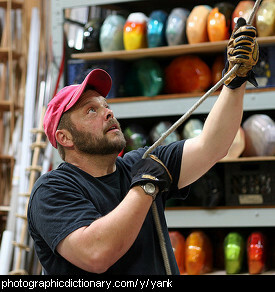 You yank something when you pull it suddenly and quite hard. 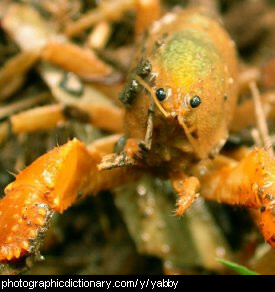 A yap is a short, sharp, high pitched bark. 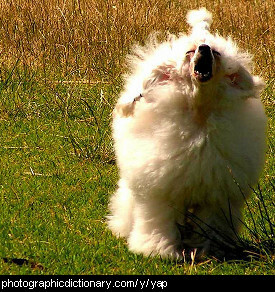 Small dogs tend to yap, and can be very annoying for people who live near them. 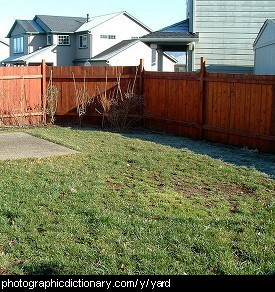 A yard is an outdoor area surrounded by a fence. Yards can be used to keep animals in, and unwanted visitors out. In suburbia, yards are close to houses and you usually grow a garden in your yard. 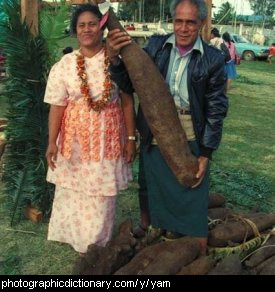 A yard is also a unit of measurement equalling 3 feet, 36 inches, or 0.9144 metres. 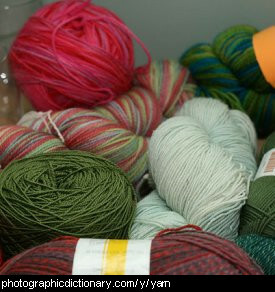 Yarn is made from animal hair, spun into a long, thin string. It can be made in a range of thicknesses and then dyed in any color. People then use the yarn to knit things like socks out of. A yawn is where your mouth opens wide and you take a deep breath in and out. Yawns just happen by themselves, they are hard to stop. 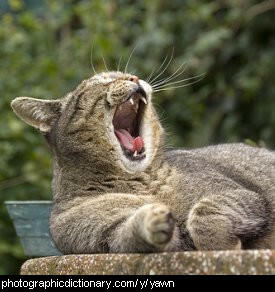 People and animals yawn when they are tired, stressed, overworked or bored, or for no reason at all. Yawning is infectious - if someone near you yawns, you often start yawning too! You might even start to yawn by looking at a photo of someone yawning, so don't stare at the photo of the yawning cat for too long. A year marks a length of time of approximately 365 days. 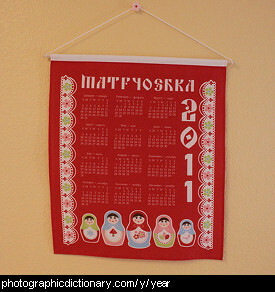 Each year has four seasons, summer, winter, autumn and spring.